On January 17th 1908 Thomas Etherington Knox, James Knox’s great grandfather competed and won the all England ploughing championship. This was with the plough seen above which Stephen Knox’s cousin Christopher Knox has renovated. This is a single furrow ransoms match plough designed with a longer mole board which is the big flat curved sheet of metal which is used to turn the soil over. 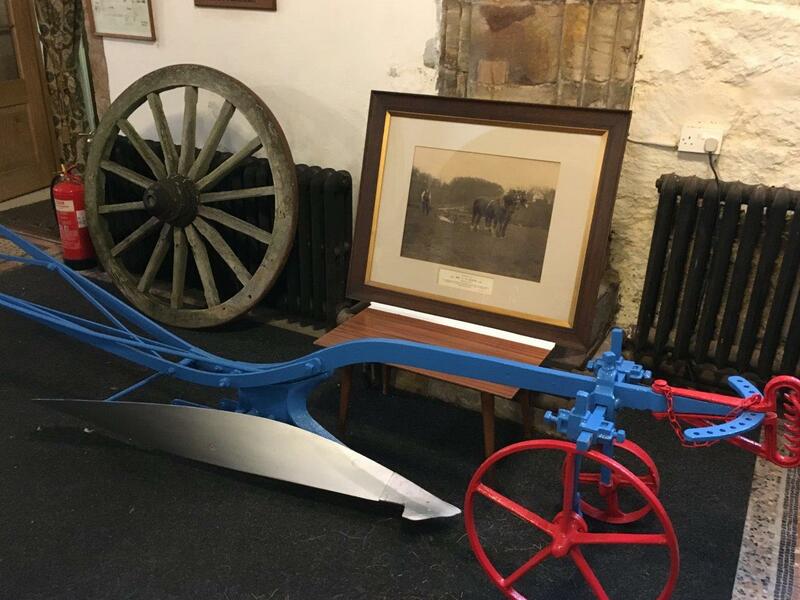 The plough was used to plough grass out as it completely tuned the top layer of soil over in order to make sure the grass was completely buried. As it was the end of the period in the farming calendar where all the crops are harvested and new crops planted, the local church at Hornby has a celebration to give thanks for a successful year. This year, this involved decorating the church with relevant local farming artefacts as you can see from the photo below. We have strong family connections to the church, James Knox our Managing Director was married there in July and his grandparents Peter and Irene Knox are buried there.